Sleek and simple, this cocktail table is sure to make a statement in your living room with it's modern appeal. Silver brushed hardware on a Manhattan Espresso finish creates a chic contrast. The gracious curved legs continue to add to beauty and style, while the three pull-thru drawers and one large shelf provide space for books, magazines, and living room and media accessories. The Manhattan Espresso Cocktail Table with Three Drawers and One Shelf by Jofran at Sheely's Furniture & Appliance in the Ohio, Youngstown, Cleveland, Pittsburgh, Pennsylvania area. Product availability may vary. Contact us for the most current availability on this product. Wood & Finish Quarter match cherry veneers in a Manhattan Espresso finish. Handles & Hardware Attractive silver brushed hardware adds a sophisticated contrast to the composition. Case Detail Smooth, defined edges. Description: Top Smooth quarter match cherry veneers. Case Construction Quarter match cherry veeners. Sleek and simple, the 629 Manhattan Espresso occasional table group offers a contemporary appeal that is sure to dress up your living room decor. Attractive silver brushed hardware is paired with cherry veneers in a Manhattan Espresso finish, creating a chic contrast. 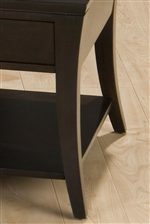 Gracious curved legs continue to add beauty and style. Each piece has shelving and drawers for storing living room accessories. 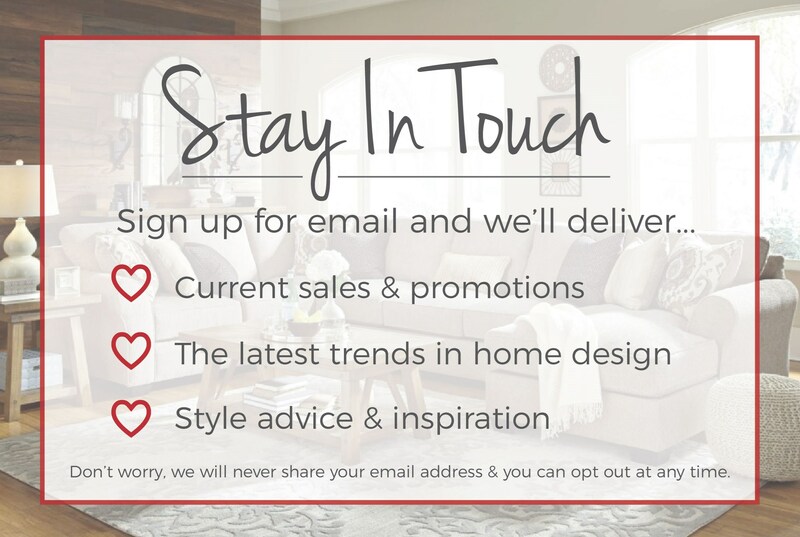 The Manhattan Espresso collection is a great option if you are looking for Contemporary furniture in the Ohio, Youngstown, Cleveland, Pittsburgh, Pennsylvania area.